First Mardi Gras was incorporated as a not for profit community association on 20 April 2017. The operations of the organisation are governed by our Constitution and the Associations Incorporation Act, 2009. I was involved in the Gay Solidarity Group meetings that organised the morning street march to mark the anniversary of the Stonewall riot in New York. A couple of chaps from CAMP Inc. came along to one meeting to propose a night-time march/festival as well. And that became the first Mardi Gras! With my leg in a walking plaster from a motorbike accident, I ambled happily down Oxford St with friends. But when police stopped the parade near Hyde Park, we were galvanised and charged up to Kings Cross - defiant, exhilarated and chanting slogans. Sheltered with friends in a shop doorway, I witnessed the most brutal police attack I had ever seen. Diane was active in women’s, lesbian and gay groups including the Gay Trade Union Group and Pride History Group and was elected to the Board of New Mardi Gras three times in the early to mid-2000s. Following a career in the public service, Diane works on projects in training and communications. In July 1978 I joined a demonstration that ended up in a melee outside Darlinghurst Police station. Looking back, I knew that this was the moment when my sexual preference became political, but it wasn’t until 20 years later that I realised that I’d been part of a turning point in history. The first Mardi Gras was Australia’s Stonewall moment, when we stood up and said No More. And 78ers all share something precious and inalienable - we were there. In 1978 Karl was a cabaret artiste and promoter. Since then he has worked in the Commonwealth Public Service, for the shipping industry and as a senior manager with a global container terminal operator. He has two published novels and is working on three more together with two volumes of historical commentary including one on 1978. He has two degrees in Byzantine history with one focusing on the contrast between public and private morality in 6th century Constantinople. In June 1978 I was 20 years old and had just moved to Sydney from Melbourne. I had previously been involved in rallies and demonstrations as a student union organizer, but I had had no contact with Sydney gay life. My flatmates and I heard about the march on 2JJ What’s On. We arrived shortly after the truck had been stopped from entering Hyde Park and joined the back of the march up William St. The crowd was still having fun and I remember people on the sidelines cheering - it was only once we reached the Cross that the atmosphere changed. We saw people at the front of the march being pushed forward into the wall of waiting police (who were huge!). People were being punched, kicked and thrown into vans. We saw a couple of women we knew being dragged away by police and tried to pull them back. The level of police violence was way above anything we had experienced. Sandra recently retired, having had a number of roles within State and Commonwealth Government agencies over the last 30 years, primarily focused on support for members of the community experiencing difficulty maintaining access to essential services. In early 1978, I received a letter from San Francisco asking for solidarity actions for the Stonewall anniversary, Gay Freedom Day parade on 24 June. We formed a coalition of lesbian, gay and progressive groups to plan our activities including a late-night street festival, starting in Taylor Square. Dressed in a country and western frock, I remember feeling amazed that people showed up. It was exhilarating to be free, visible and together but these feelings turned to alarm. It was outrageous how violently the police attacked us in the Cross. We instantly knew we had experienced our own Stonewall. Apart from commitment over the decades to queer activism and to commemorating Mardi Gras history, Ken has worked as a mail sorter, in disability services, in HIV, and since 1994, with the international solidarity agency of the ACTU, Union Aid Abroad – APHEDA. As a refugee from Joh’s Queensland in 1975, I threw myself into all Sydney had to offer – especially its progressive political life. I became active in the women’s liberation movement, the Southern African Liberation Centre and my industrial union, and discovered the Gay Solidarity Group which provided fertile ground for both political action and personal friendships. I was out of town on the ‘big day’ of 78, but atoned for this sin of omission by being part of all the subsequent demonstrations. In the back of a paddy wagon on Taylor Square, I met the wonderful Ken Lovett who became the backbone of our successful Drop the Charges campaign. Betty worked for 40 years in the community sector, starting with Marrickville Women’s Refuge in the late 70s. 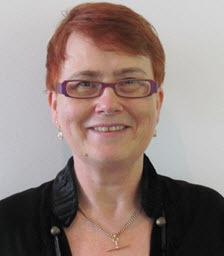 During the 80s she worked in community legal centres, including driving a successful campaign for recognition of lesbian and gay relationships in Australia’s immigration system. After a year with the United Nations in Cambodia, Betty became Executive Director of ACOSS from 1994 to 2001. She exited the full-time paid workforce in 2014 after more than a decade as Deputy Director of The Fred Hollows Foundation. Betty is still involved in the sector through voluntary board memberships of organisations such as the Asylum Seekers Centre and Union Aid Abroad – APHEDA. The 1970s was a time of massive push for social change; anti-nuclear and anti-war marches, pro-environment demos, the women’s movement, black rights and gay activism all took off. There was a general feeling that, together, we were on the way to making a better world possible. And then came Saturday 24 June 1978. It started out like any other day – a street march in the morning, a public meeting that afternoon at Paddington Town Hall, and then, at 10.00pm, a parade down Oxford Street from Taylor Square. It was the first Mardi Gras - and the rest, as they say, is history! Garry’s “gay activism” began in early 1971, when he attended the first public meeting of the newly formed Campaign Against Moral Persecution (CAMP) in a small church hall in Balmain. This proved to provide a good introduction to understanding both the oppression experienced by our communities as well as how to go about changing it. Garry is a community historian who says that it is has been both a privilege and pleasure to record the battles and triumphs that our communities have experienced over the past decades.